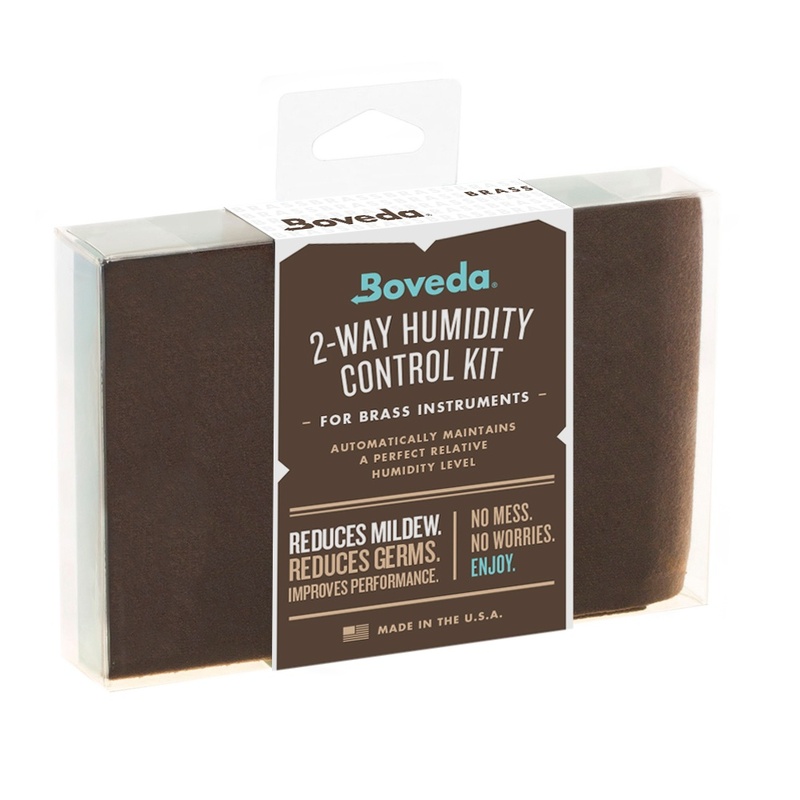 Patented 2-way humidity control continually responds to ambient conditions by adding or removing moisture to maintain ideal climate for instrument preservation – effortlessly! 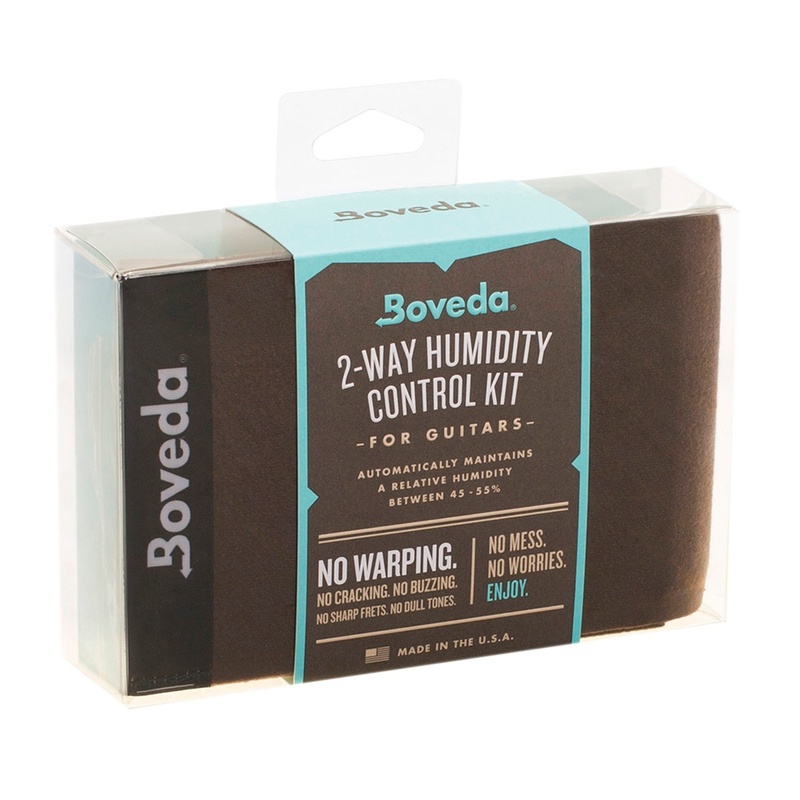 Maintains a constant 40%-50% relative humidity level within your instrument's (closed) case. Zero maintenance required! No more hydrating sponges, hoses, discs, soap dishes or whatever else you’ve tried (and dried out) in the past. 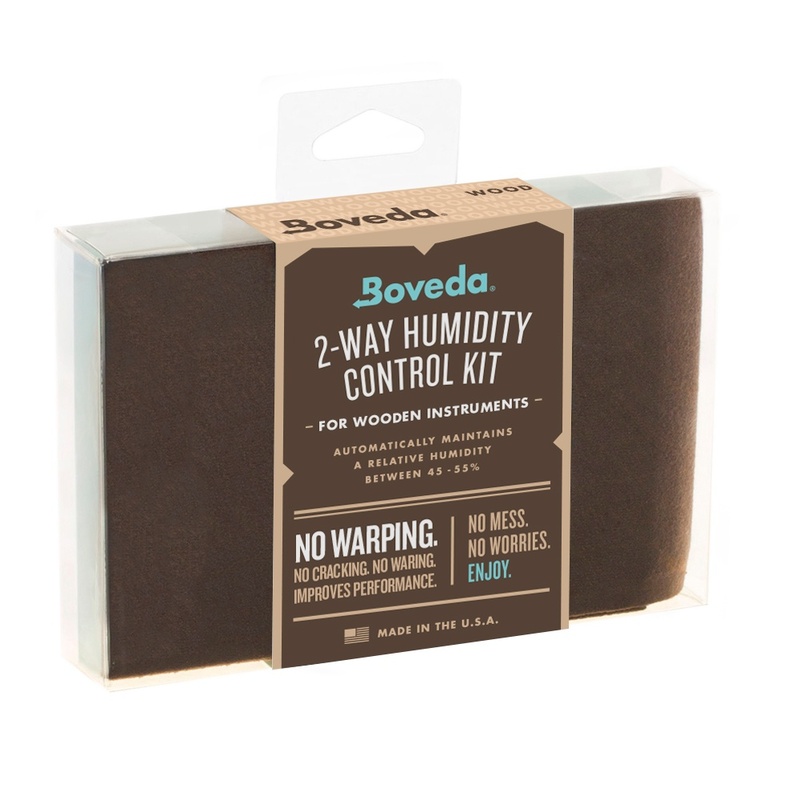 Boveda eliminates the hassle of these 1-way humidification methods, which spike humidity when you add water then take a nosedive as the water evaporates. 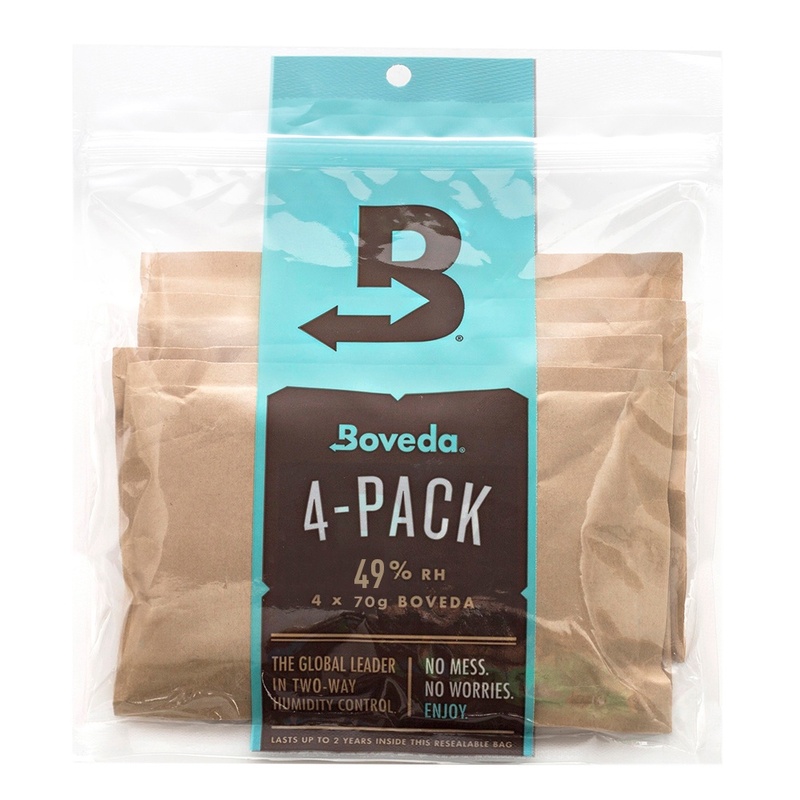 Each Boveda consists of a specially prepared saturated solution of pure water and natural salts. This saturated solution is contained within a water-vapor permeable "reverse osmosis" membrane. 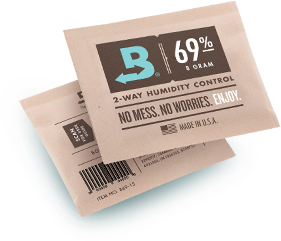 Boveda provides the cleanest and most purified humidity of all other products available on the market today.